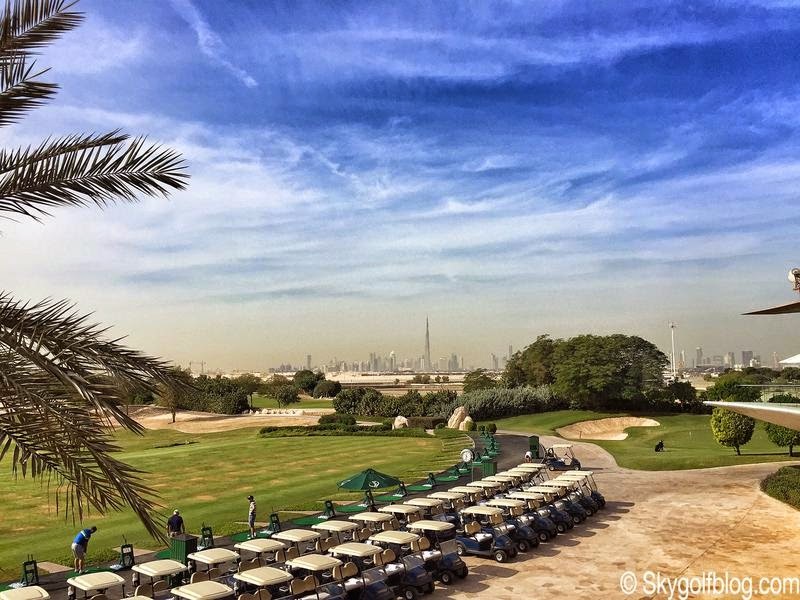 SkyGolf Blog... 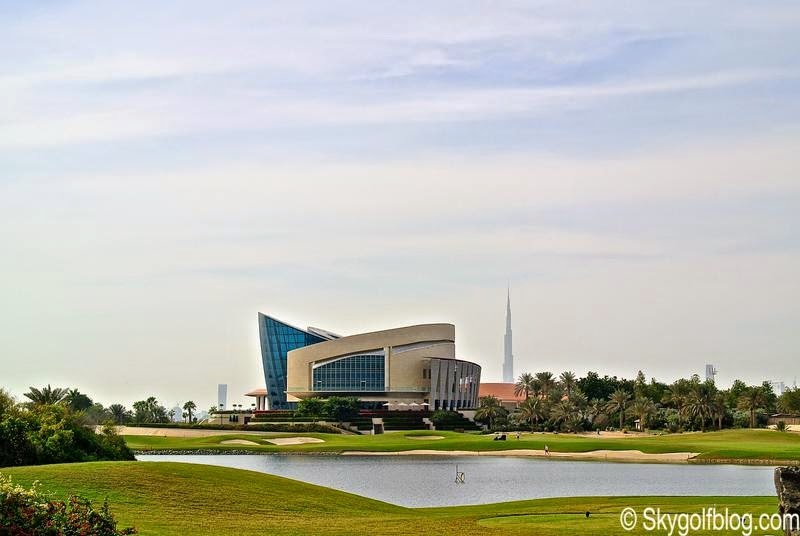 Golf Courses Around the World: Al Badia Golf Club, Dubai, U.A.E. 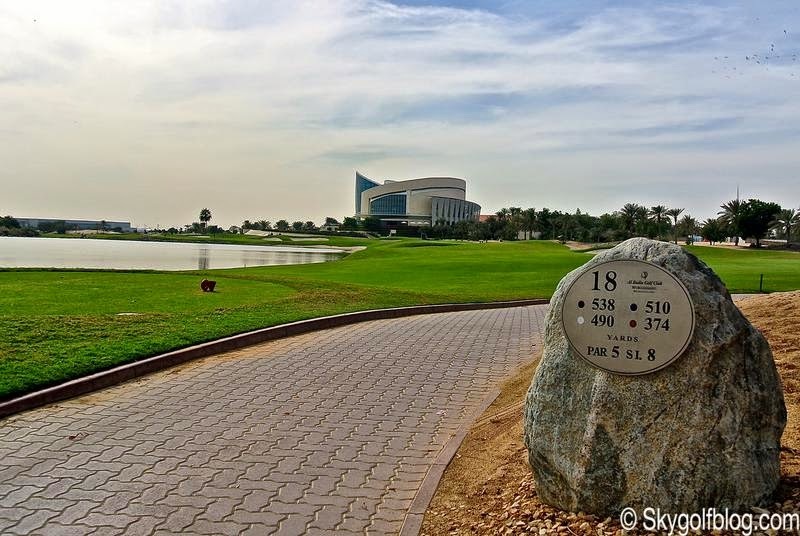 Robert Trent Jones II's first work in the United Arab Emirates, Al Badia Golf Club opened its doors in 2005. 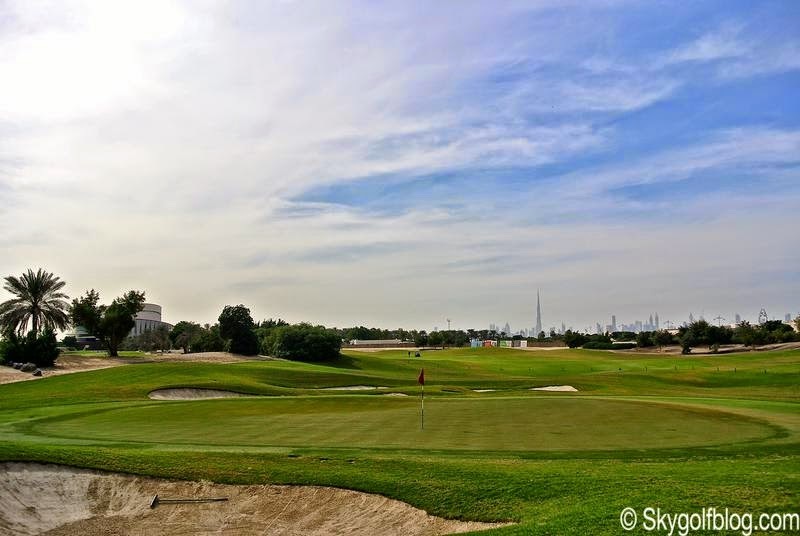 A challenging and spectacular layout that proved to be a tough test even for the pros being the venue of the yearly Challenge Tour Grand Final since 2013. 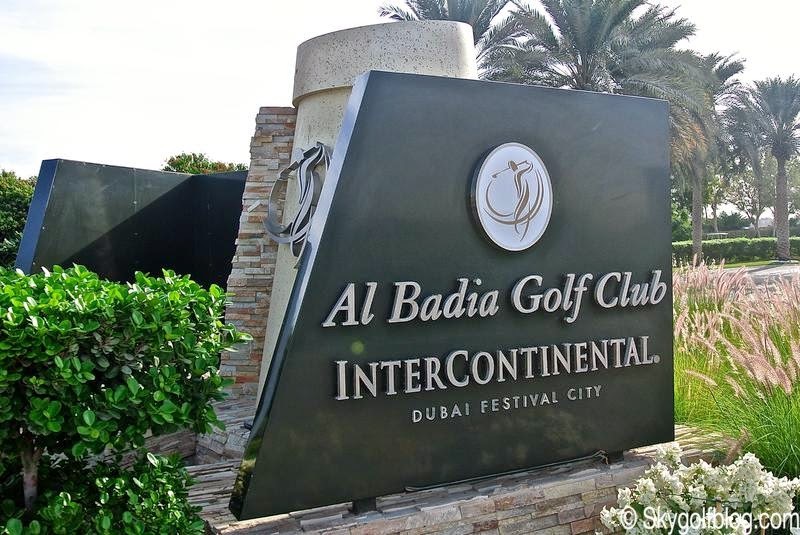 Located two kilometers from the Dubai International Airport and created as part of the Dubai Festival City project, the Al Badia Golf Club by Intercontinental Dubai Festival City (formerly known as the Four Seasons Golf Club) is-quite literally-an oasis of fine golf. 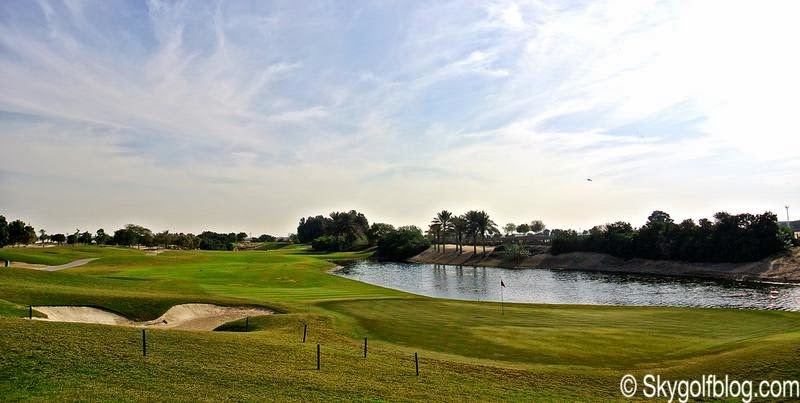 The name Al Badia means "Land of the Bedouins," and Robert Trent Jones II created the golf course reflecting his design philosophy and the Arabian Traditions, enhancing the values of hospitality, respect, and love of nature. 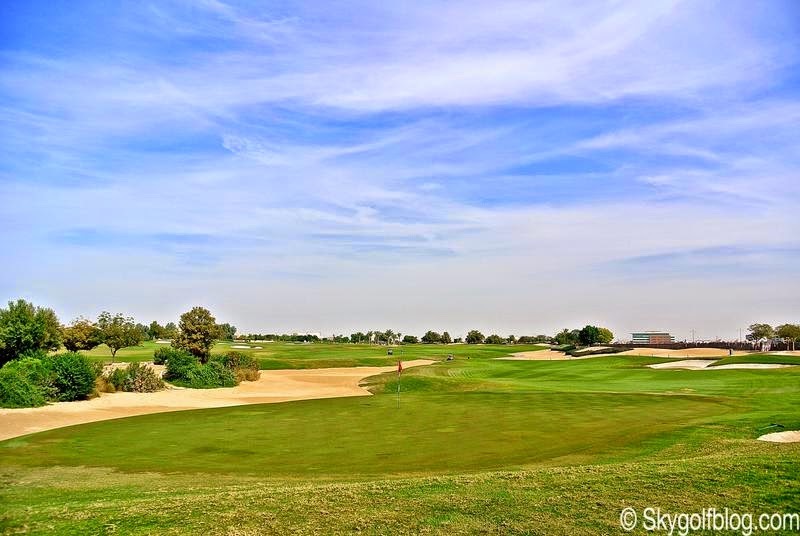 It can be considered a classic desert style course that with its 7,250-yard layout (74.7-139) exhibits a stunning interplay of rock, sand, palms, water, and grass. 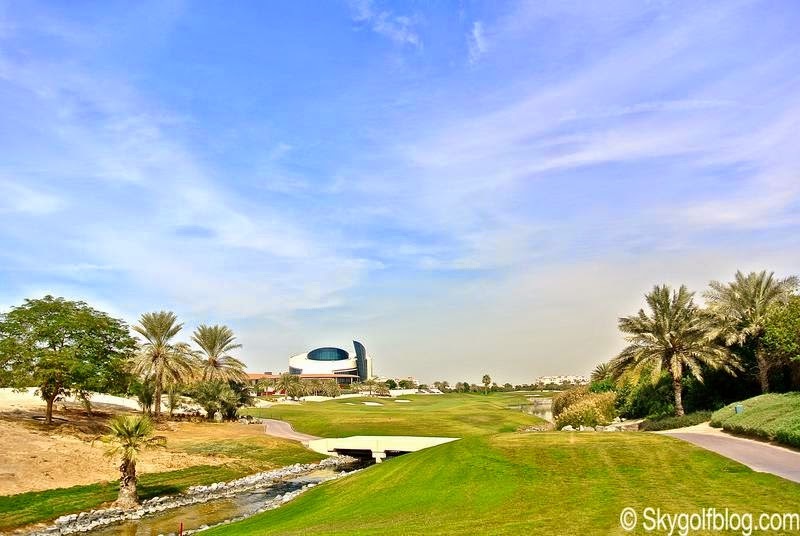 It features generous fairways, but also lots of hazards. 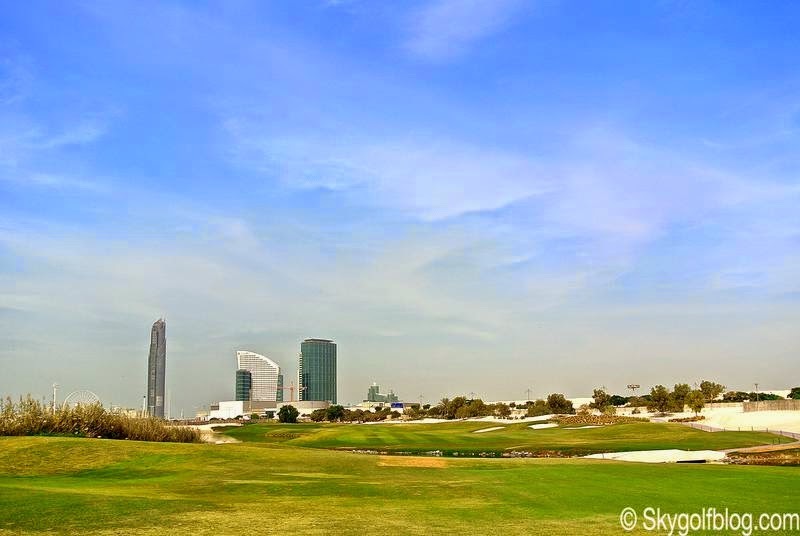 The greens are large but really fast, often well protected by numerous sand traps. 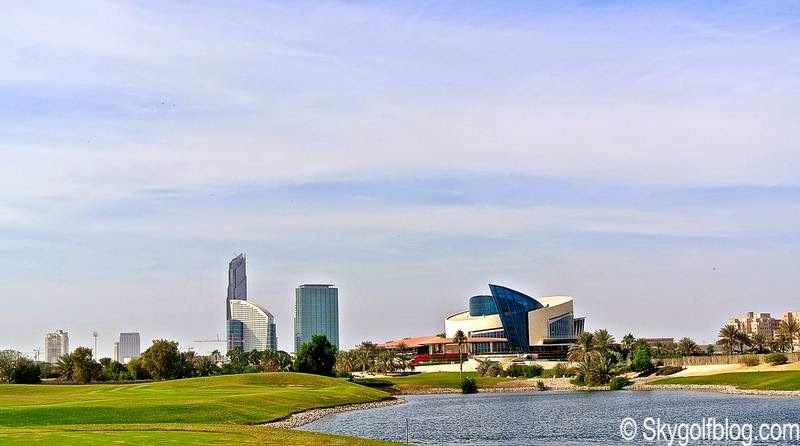 Twelve holes bring water into play through a series of large, interconnected lakes, gently flowing streams, and tumbling waterfalls. 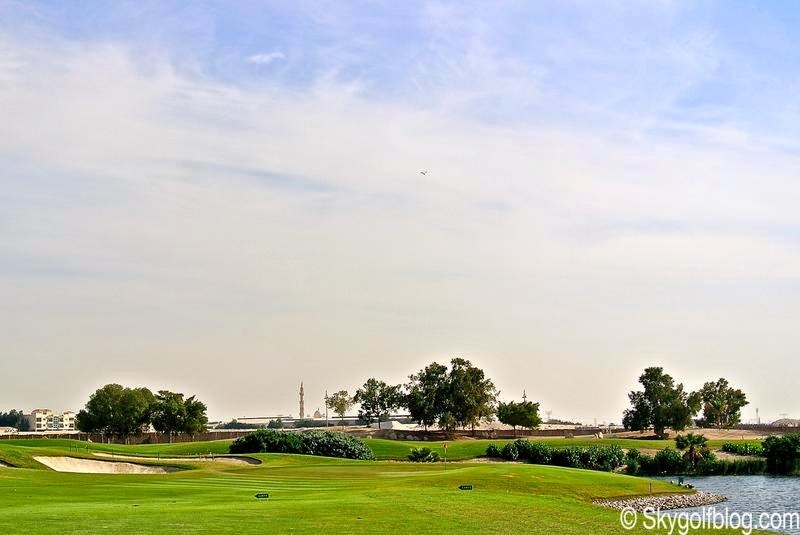 Robert Trent Jones II also created a new design concept named the "river of sand" that works, Jones says, as "a visually crisp hazard that provides golfers with the opportunity to recover from an errant shot". 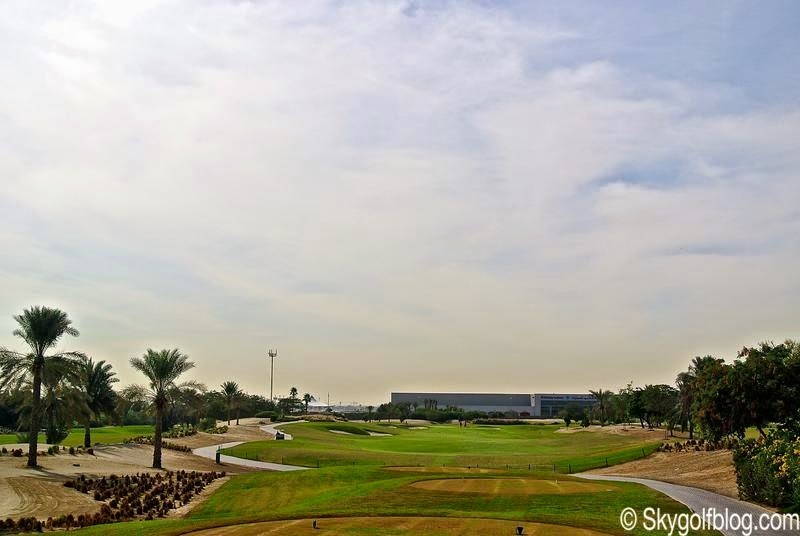 A concept that give golfers plenty to think on how to challenge the hole. 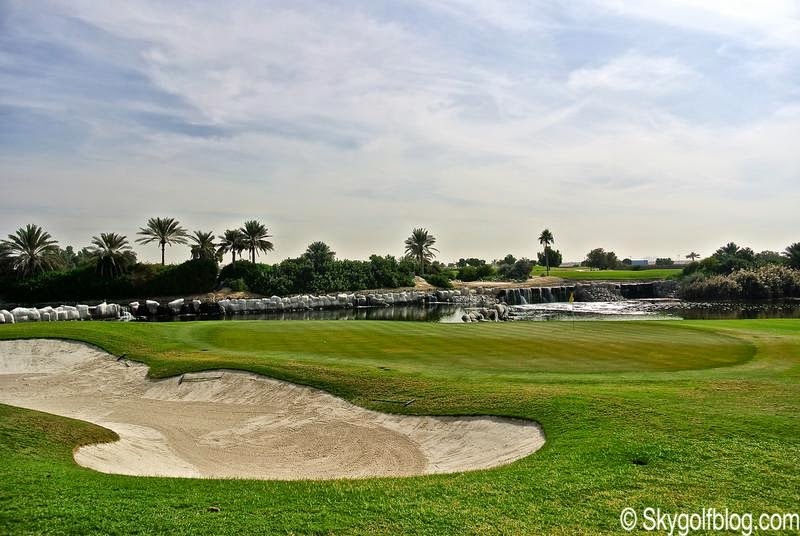 Players will find the "river of sands" at least in 4 holes: the par 4 4th, the par 3 7th, the par 5 13th and the par 4 14th. 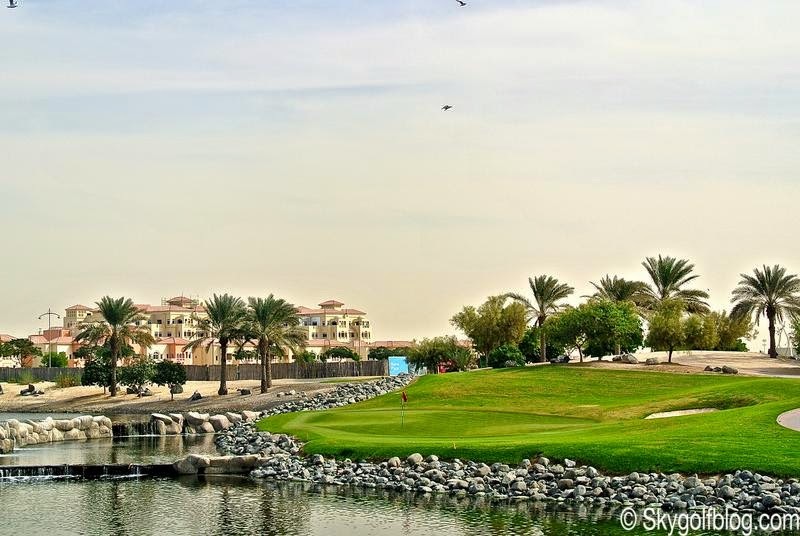 Each of the 18 holes has its distinct character. The 444 yds 9th is a superb par 4 with a lake running along the right side of the fairway, a magnificent waterfall to right of the green and with stunning views of the clubhouse. 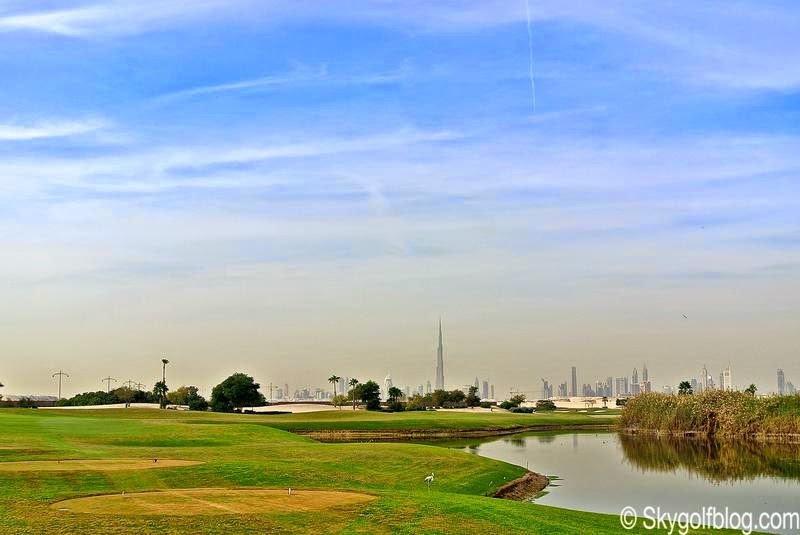 The 568 yds 18th is Robert Trent Jones II's signature and preferred hole. 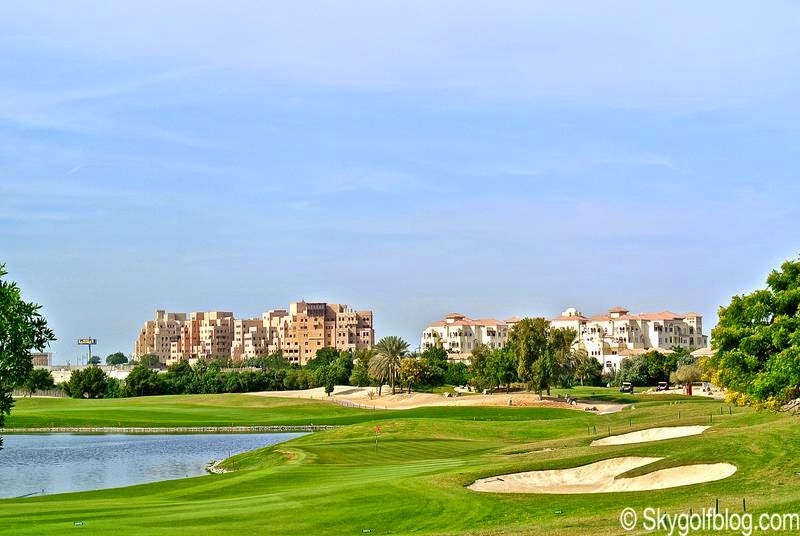 A true risk-reward par 5 with a lake that runs on the left hand side of the fairway and several bunkers strategically positioned on the fairway and around the multilevel green. 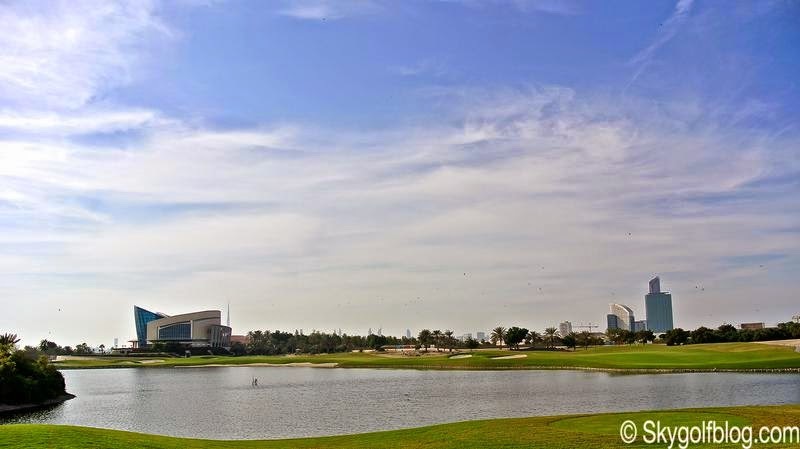 Robert Trent Jones II met several unique challenges in designing and building Al Badia Golf Resort at Dubai Festival City. By creating three different landscaping themes (coastal, inland, and streamside) he added visual and textural complexity to a mostly flat, sandy site. 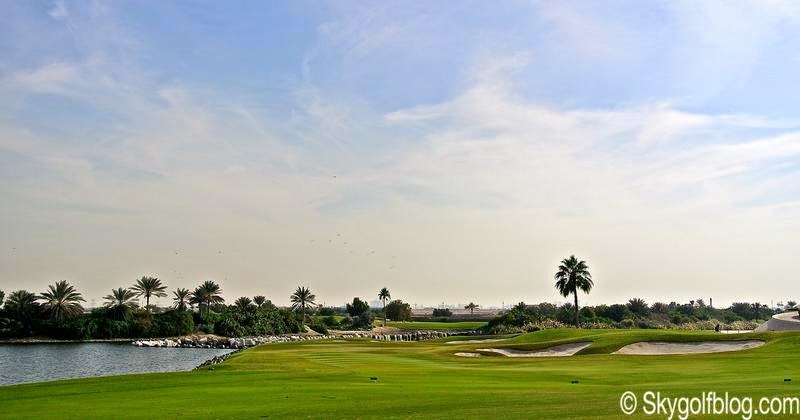 Really interesting is the fact that the entire 85 acres of turf are planted with salt-tolerant paspalum grass that can be irrigated with a mix of sea water and treated waste. Paspalum requires 1/3 less water than Bermuda grass, thus maximizing a valuable resource. 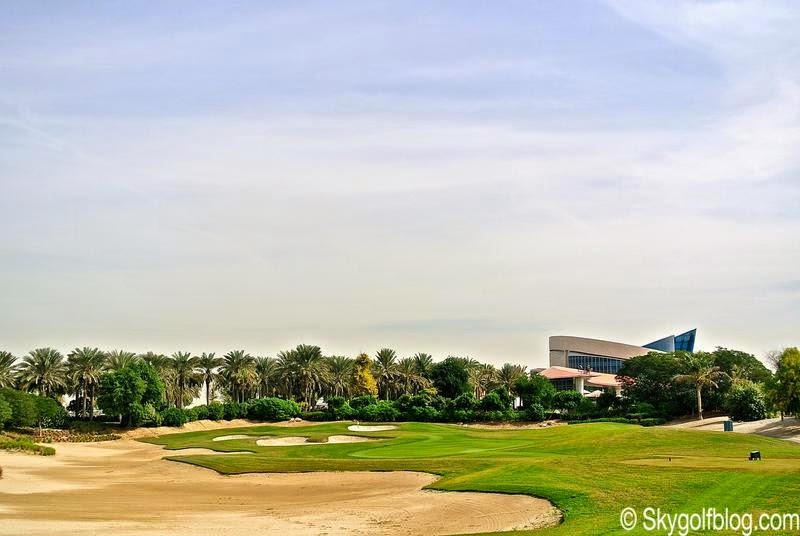 The award winning clubhouse built with a wrapped golden roof, stone and blue glass, and landscaped with palms inside, is the perfect place to relax after a round of golf at Al Badia. And make sure to take advantage of the spas facilities located inside the locker rooms. 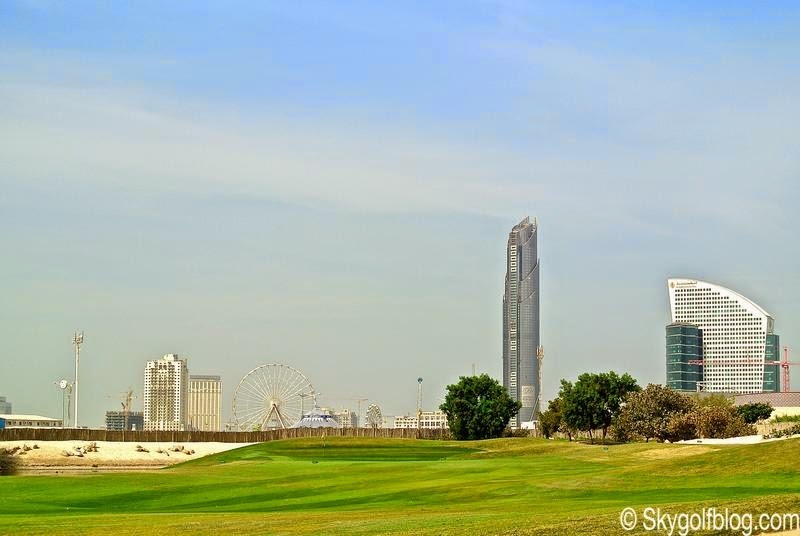 Dubai has a lot to offer for golfers, with several high-end and exclusive golf course. Plying Al Badia with its technicality, its quality and its settings, is an experience I highly recommend. 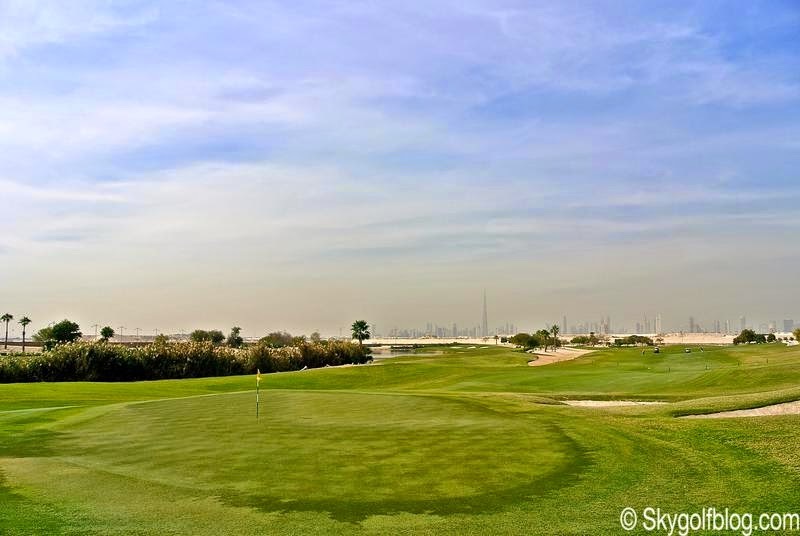 The only Robert Trent Jones II designed course in the Middle East that can be easily ranked among the Top 5 courses in the city.